Recently the youth of Caldeum have fallen prey to the overblown stories of just such a delinquent wizard. That is correct: I used the uncouth term wizard, not sorcerer. It seems that even the title of a civilized magic wielder is too restrictive for this young upstart. Through my contacts at the Yshari Sanctum of the mage clans, I am one of the few who actually know the truth behind the rumours now sweeping our streets regarding this hellion who flaunts her magic irresponsibly. This wizard was sent here to spend her formative years under the tutelage of the best mages in the world. Well, it seems they neglected to teach our wizard manners on her native island of Xiansai, for she was a rude and uncooperative student from the very beginning. 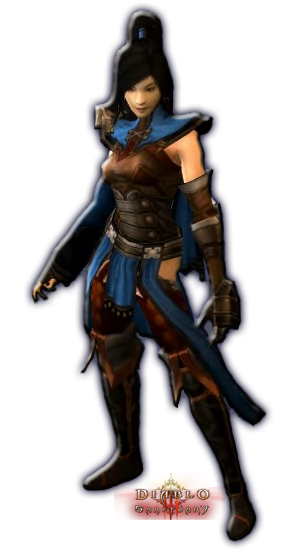 Originally under the guidance of the Zann Esu mage clan, she was eventually handed over to the Vizjerei in the hopes that their strict and unbending discipline would break her anarchic spirit. Yet even the esteemalemed Vizjerei instructors were unable to rein her in. She was continually being caught seeking out dangerous and forbidden magic’s, heedless of the consequences to herself or anyone around her. 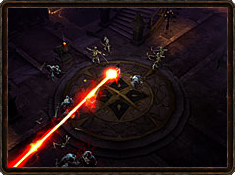 Disintegrate is a very powerful skill for the wizard as it can kill enemies from a distance and can kill lots of enemies very quickly. This attack will be very good on bosses especially. This attack makes your enemies’ body disintegrate slowly and eventually they are reduced to a pile of bones. The Electrocute attack is a chain attack and goes from one enemy to the other until they are all dead. 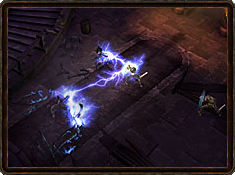 The electricity jumps around electrocuting enemies. 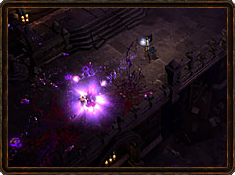 This attack is very useful if you are dealing with large groups of enemies in one place. As you advance your skill, the electrocute time will increase causing more damage. 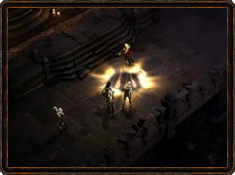 The Teleport attack is also from Diablo 2. The Sorceress can use it to move around quicker, as well as helping avoid the need to open doors. 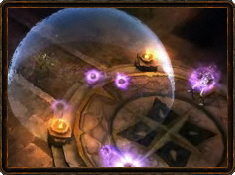 Teleport will be a well used ability for the wizard allowing for a quick escape route when you’re in trouble or to gain some distance ready for a long ranged ability.